With Mother’s Day is fast approaching, why not get a custom item that Mom will love for year’s to come. Jenny Present creates unique and beautiful custom necklaces. Choose from “Proud Mama” pendants, gemstones, and charms. Then you can pick the chain and metal type. 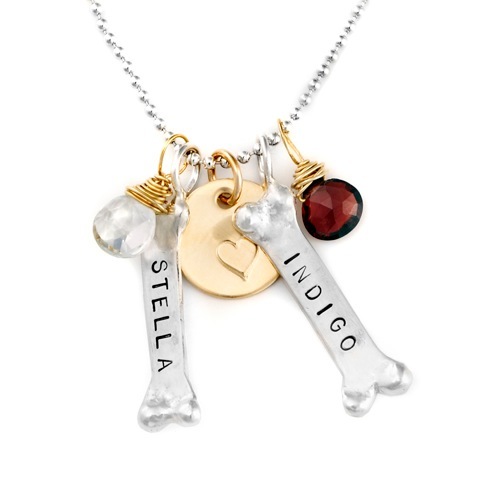 I thought outside of the box and created a piece with bones engraved with my dogs’ names, a heart charm, and each of their birthstones. These necklaces are great for everyday wear and are truly special.